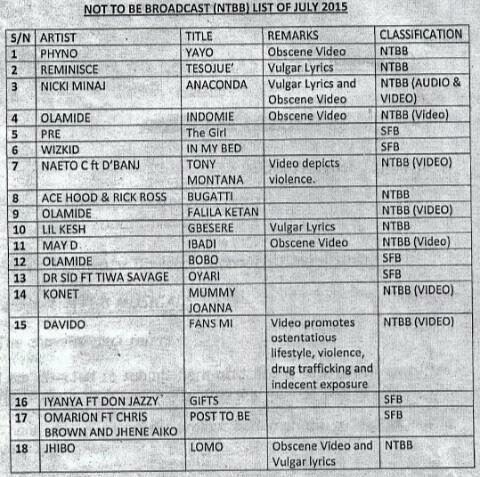 Full List Of Banned Songs In Nigeria Courtesy Of The Nigerian Broadcasting Commission. A list of songs and videos marked as ‘not to be broadcast’ by the Nigerian broadcasting commission has lately been doing rounds on social media. Nicki Minaj’s ‘anaconda’ and Davido’s ‘fans mi’ top the list. Below is the full list.